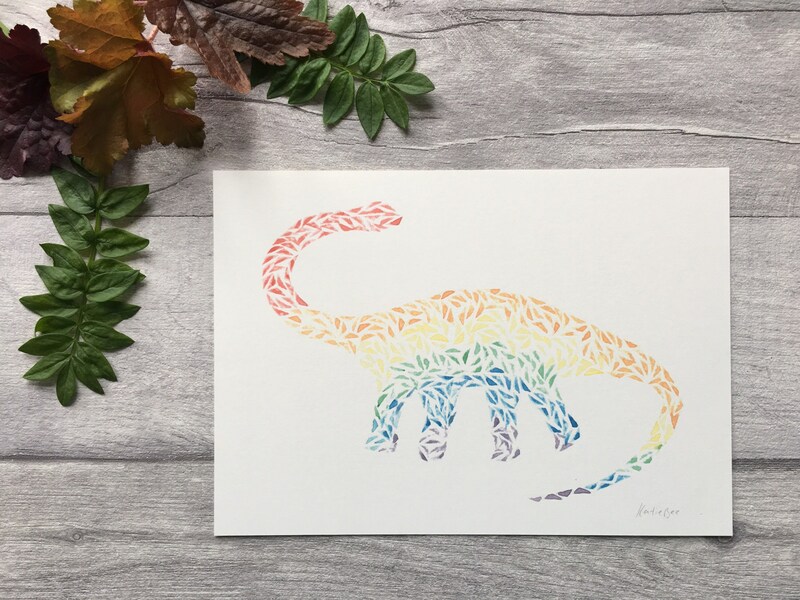 It’s not every day you see a rainbow diplodocus, but dang aren’t you glad to see this little fella?! I have used a hand cut stamp to carefully print each little triangle. 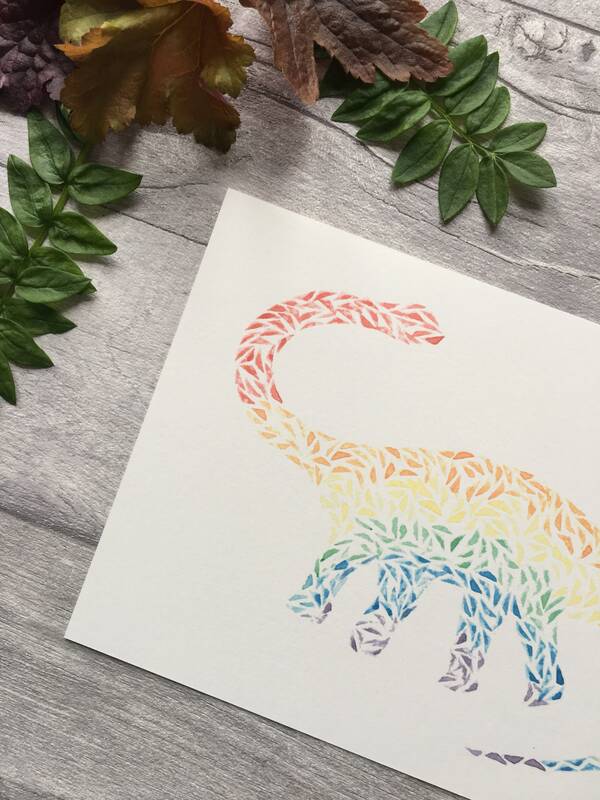 The triangles come together to form this awesome, rainbow dinosaur! Each print is signed and numbered before being sealed in a cellophane wrapper to keep it protected. 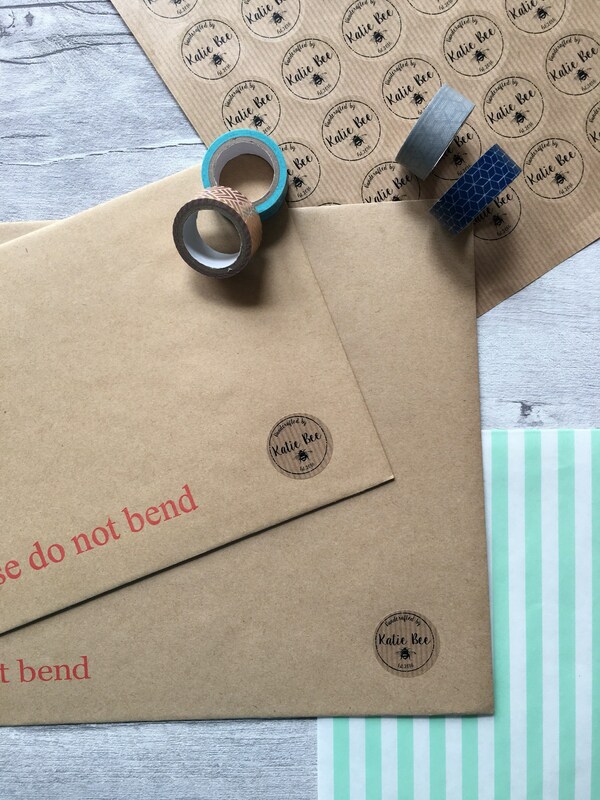 The print is then packaged in a board back envelope before making its way to you. 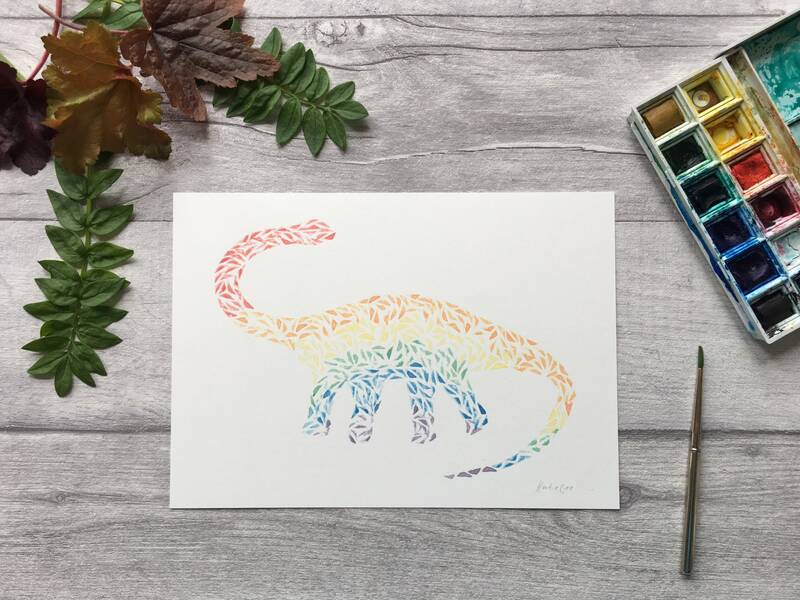 Brighten up a dinosaur-lovers day with this beautiful print. Perfect for any nursery or kids bedroom wall!